IC Printing and cutting all-in-one machine. Printing and cutting all-in-one machine. High performance integrated circuit controller. 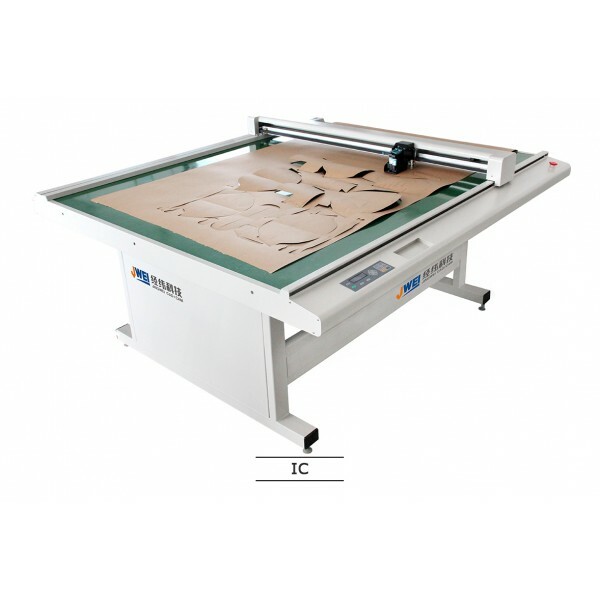 Intelligent double print, automatic cutting. Advanced transmission parts with high speed and precision. Patent machine, steady performance, safety&reliability, using in wide range. Be widely used in apparel,shoe-making and bags and suitcases industries. Kraft paper, Ivory paper, Drawing paper, Sulphite paper etc.